Things are starting to happen on the tiny allotment. The barrel garden I built last year is starting to look really good with early onions, garlic, strawberries, and salad all springing to life. 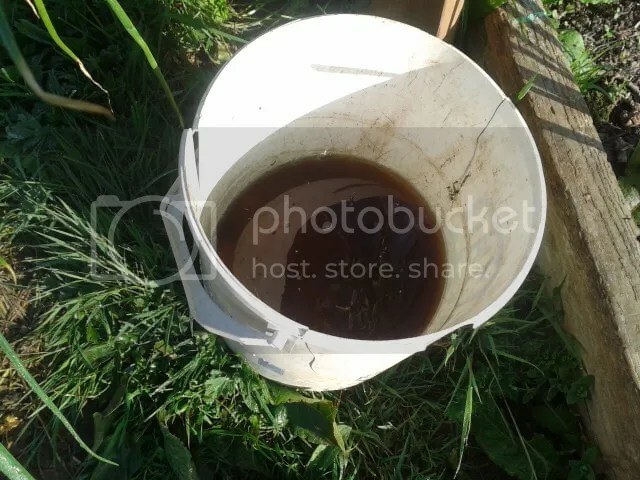 The bucket below the barrel catches water that leaches from the barrel. This nutrient rich water would normally be lost but we catch it and return it to the top of the barrel so nothing is wasted. 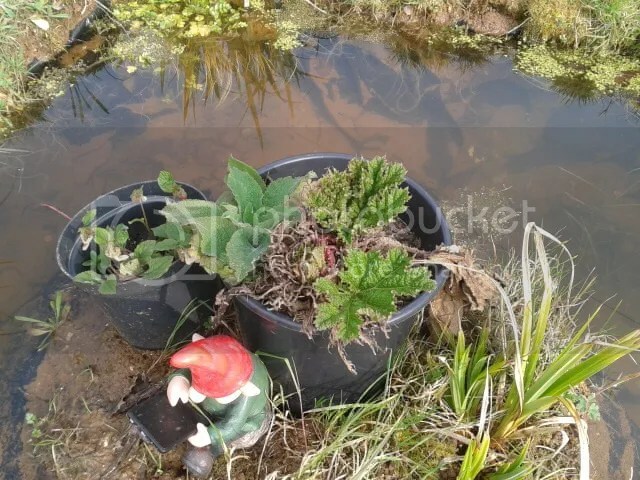 The pond is also coming to life with lots of water plants, snails and other invertebrates inhabiting the depths. We also have plenty of tadpoles swimming about so hopefully we should end up with a healthy population of slug eating frogs later in the year. The gunera on the island in the pond is starting to come back to life after it’s winter’s hibernation. This will help shade the pond from the summer heat and the comfrey root I planted in a pot last year is growing and is in flower. 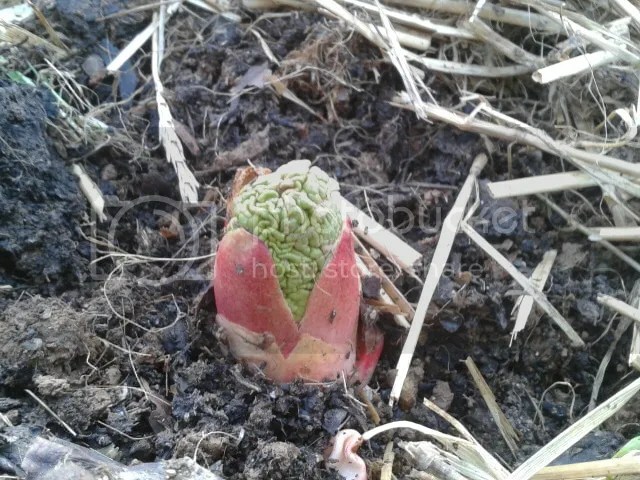 i will have to decide where I am going to plant this as I need a lot of comfrey for making liquid feed and as a medicinal herb. 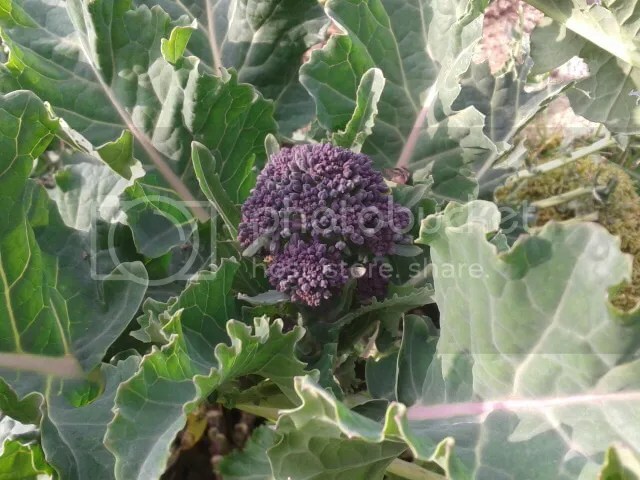 The purple sprouting broccoli is still producing well and the more the pigeons eat it the more it sprouts. 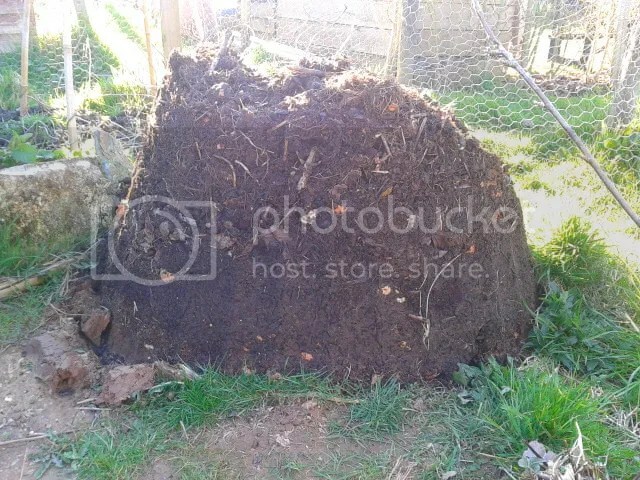 We also had a big delivery of manure so I managed to fill all my new beds ready for the season. I used home made compost as a top dressing and this bed has now been planted with strawberries as a cover crop. 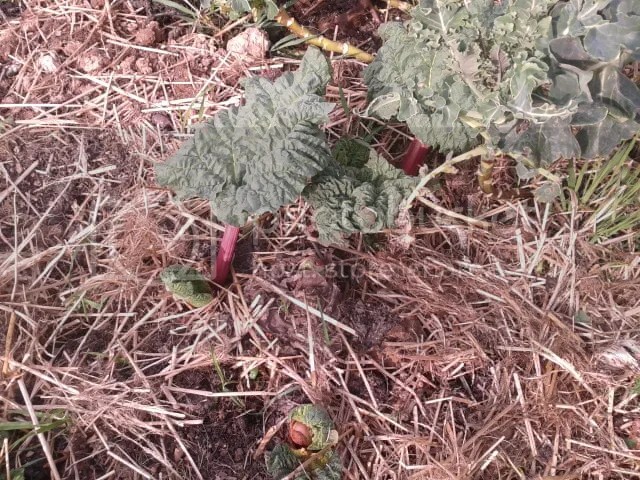 The hope is that over the next couple of years the strawberries will spread out to cover most of the soil surface protecting the soil from wind, rain and sun and suppressing weeds and we will interplant with other crops. 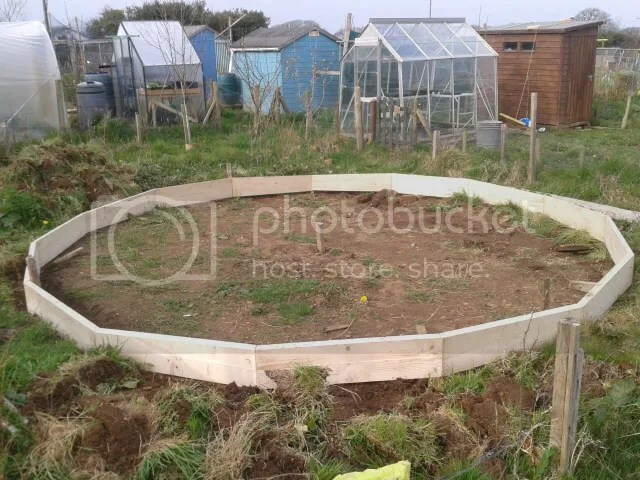 The other big thing happening is we have started building our geodesic dome greenhouse. 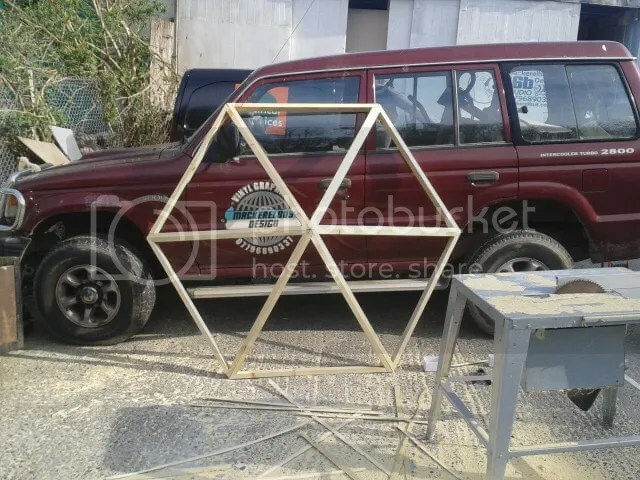 We have installed the base and this weekend we are going to get it perfectly level and round and paint it with wood preserver. And work has started on making the 103 triangles needed to build the dome. I will be doing a complete write up on thee construction of the dome on it’s own page here when the dome is complete. 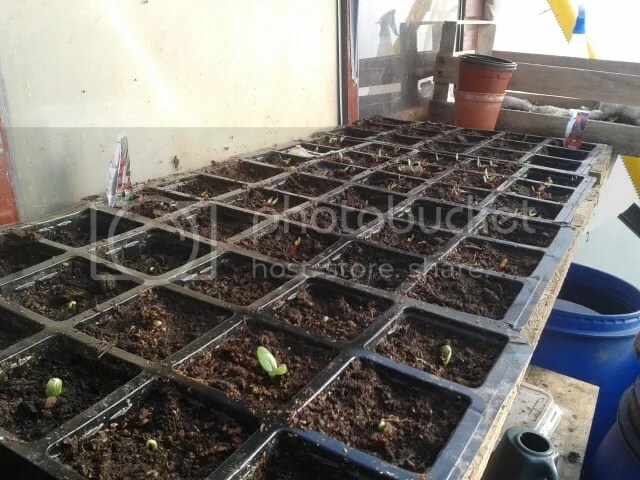 Seeds are starting to germinate in the tunnel. This picture was taken this morning. I love this time of year. this change so quickly so i will be posting more often again. 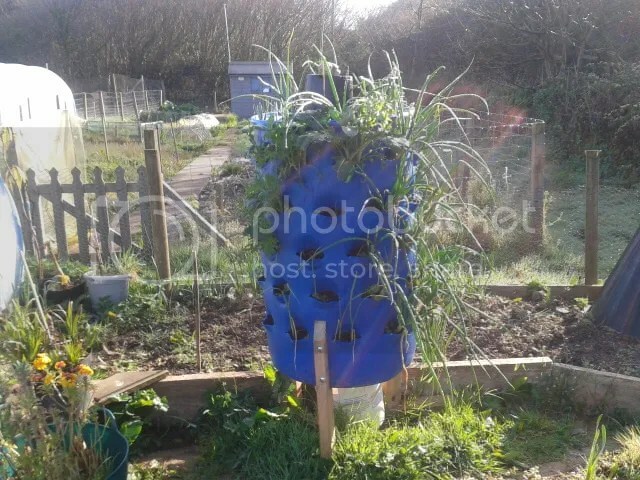 Categories: Gardening, Permaculture | Tags: barrel garden, comfrey, Compost, Geodesic Dome, Gunnera, pond, Purple Sprouting Broccoli, rhubarb, tadpoles | Permalink. Dedicated to living a simple, independent, self reliant life where money is not the main factor. My dream is to engineer a life that requires very little from the outside world. I would like to provide my own shelter, collect my own water, grow, catch, hunt, forage my own food, create my own energy and deal with my own waste. 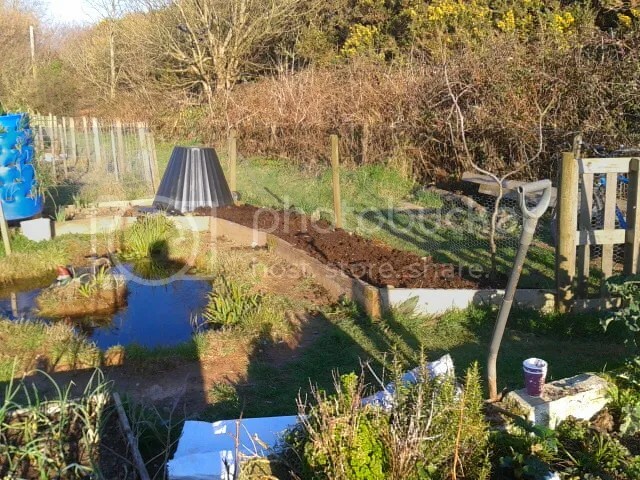 This dream all starts in a tiny allotment in Cornwall where I will be experimenting in growing food, generating energy and dealing with waste. Excited to see your dome! I’m watching your barrel with interest this year, how the plants manage as they get towards cropping size. It’s looking promising. Can I cheeky and ask you to post up regular photos of it’s progress? 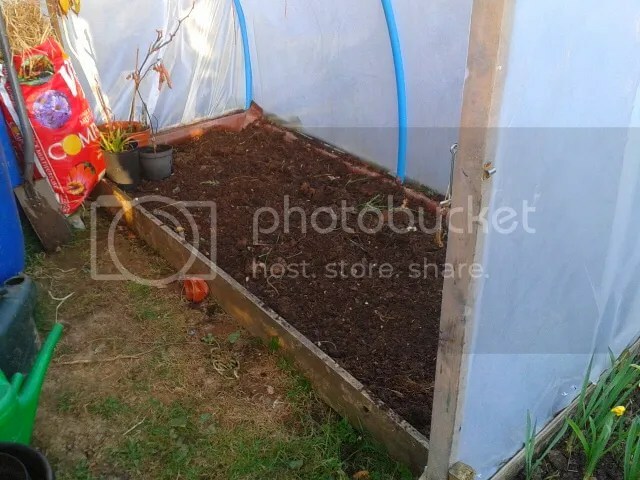 My allotment is one of the most expensive in London and I’m trying to find ways to grow more and more at home. Loving the dome….very Eden….far beyond my skills but I am really enjoying seeing yours! Thanks Tara. At the moment we have mainly onions in the barrel and I will have to keep an eye on them or they may be too big to remove from the grow pockets. As they come out we will replace them with salad and other things. I will probably place the barrel in the dome over the winter so we can carry on growing all year round. I will certainly try to post more photos of it though.